Pinchy Animals – Emma Teaches Art! 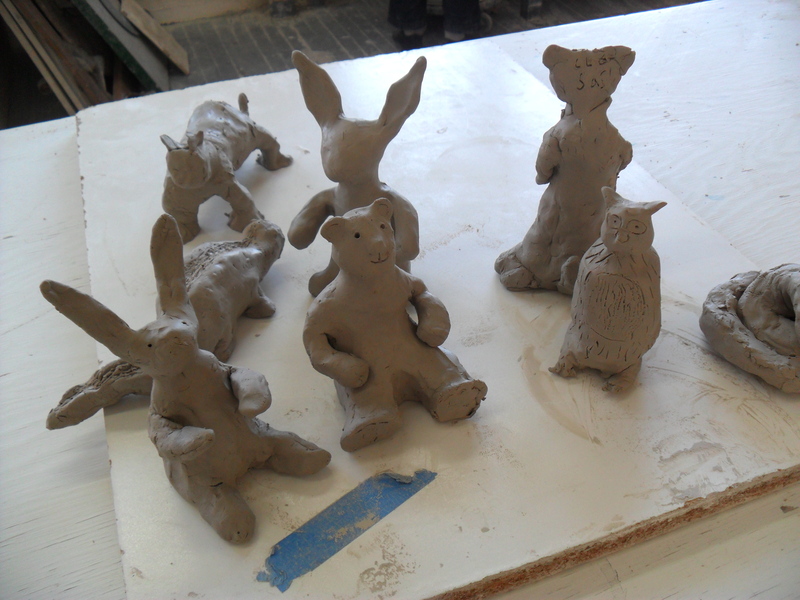 This project involves measuring out a pound of clay and then creating an animal without ever detaching any piece. The objective for the student is to learn more about the possibilities of the clay and its physical properties and limitation. So what I did for this lesson was disguise the objective as a challenge to each individual student. I told them that they were being asked to make an animal as best they could without making any new attachments, only by pulling and pinching and adding texture, could they make their animals. I think they came out fantastic!